I had a lot of old t-shirts that I just couldn't see throwing away because they were still good so I decided to make some t-shirt placemats. They are really cute and always stir up memories when we use them. Kids love to see their old shirts made up into placemats. 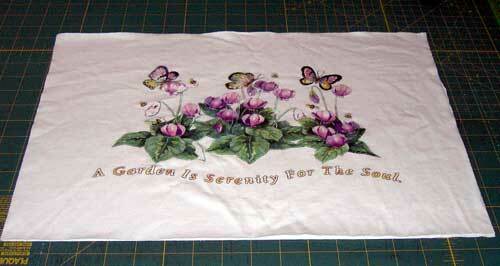 If they are a little to small you can always add to the sides and bottoms to make them big enough for a placemat. You can also use any color shirt that you have. It is nice to have black, blue, pink, green, red or any color you have. It just adds color to the table setting. They also make great gifts for Grandparents. These T-Shirt Placemats Are Very Easy To Make. The first thing you need to do is to cut the shirt apart. I just cut the sleeves off and then cut up the sides of the shirt. 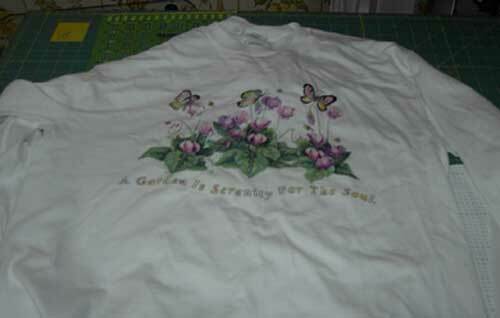 T shirts are easy to work with if you use and interfacing. If you don't use interfacing they will streach out of shape. 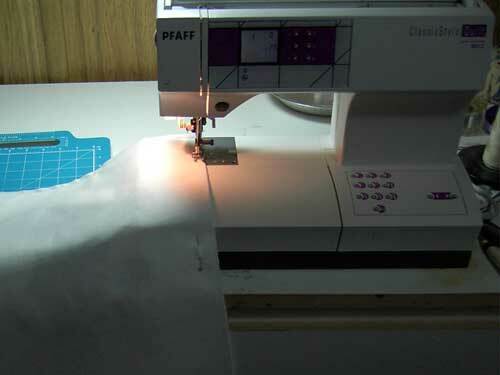 Just iron the interfacing onto the back of the pieces and then cut to size. I cut mine 18 1/2 X 13 1/2. You can make yours any size you want. Once you have the shirt cut to size for the front and back you need to layer them together. 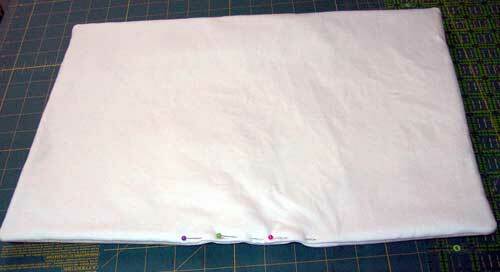 Lay the front of the shirt face up and then lay the back face down. Now take the batting that you have cut to size on top. 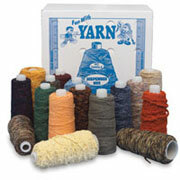 You are now ready to sew it together. 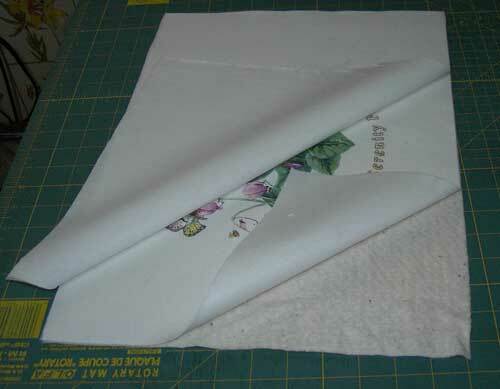 Use a 1/4 inch seam and sew all around the placemat leaving an opening so that you can turn it rightside out. Clip the corners so that the points will come out neat. 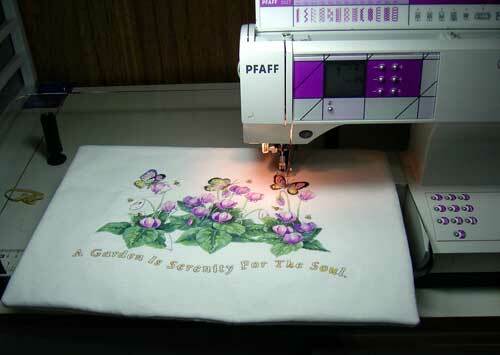 Once you have it rightside out Press it and then hand sew the opening closed. 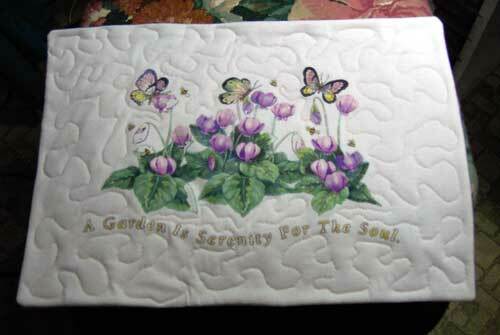 Your t-shirt placemat is looking really nice but you need to quilt it. Here is the finished product! I made this t-shirt with one of my old shirts. I think it looks real nice and is so cute on the table. Go ahead and try this with your old t shirts. I know you will love them.